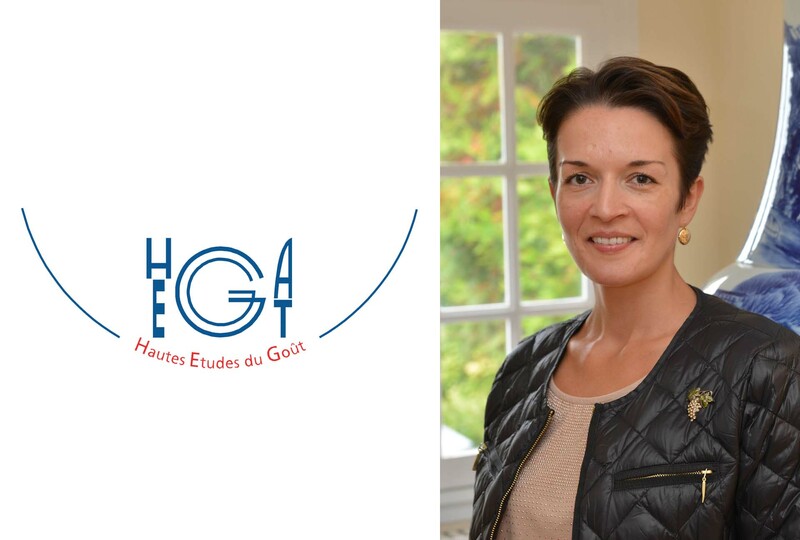 Edwige Régnier tells us more about the Hautes Études du Goût Programme (HEG) created in 2006 by le Cordon Bleu Paris in partnership with 'l'université de Reims'.Hautes Études du Goût provide a unique, multi-disciplinary program which aims at putting forward all the scientific, cultural, sociological and economic aspects of taste, gastronomy and the art of fine dining. Could you tell us briefly about your background? My childhood, studies and early career all took place internationally: Africa, United Kingdom, Middle East, United States, etc. Experiencing different cultures enabled me to better appreciate and better understand the wealth and diversity of France’s cultural heritage. This vast experience and my atypical background enabled me to take on a role with the Hautes Études du Goût. This role aims to widen the reach of French gastronomy, starting in France then spreading out internationally, thanks to the numerous nationalities (more than forty) that we have been welcoming since 2004. If you had to give three good reasons for signing up for the Hautes Études du Goût programme, what would they be? - Study at Le Cordon Bleu, one of the leading global Culinary Arts Institutes, which is synonymous with excellence. Be awarded a University Diploma from Reims Champagne-Ardenne University. Of all the lessons and conferences that have taken place since the programme began, which ones fascinated you the most? Natalie Rigal’s lessons on the mechanisms behind the psychology of taste and how we build our food preferences and the research by Patrick MacLeod, on the neural mechanisms of taste, fascinated me. We all have different olfactory and gustatory responses to taste to which our cultural and hedonic peculiarities are added: the emotional bond that we have with a certain food depends on what we have undergone, the experiences and the culture of each individual. The works of Joël Doré on the links between nutrition, gut microbiota and health are also quite remarkable. Have any of the people you met, thanks to the programme, left a lasting impression on you? Ever since HEG began, all the teachers whom we have asked to impart their know-how, and share the results of their work with our students, have for me, represented an amazing opportunity to meet remarkable people. Additionally, to make discoveries about the fascinating world of the sciences of taste, in other words everything associated with the act of providing oneself with sustenance, but also all the cultural aspects linked to food. How passionate they are about their subject and their openness are, without a doubt, key elements in the success of the programme. Is there an anecdote or memory from the programme that you would like to share with us? More a steadfast source of pleasure: that of welcoming, every year, to Paris and Reims, participants who have travelled from the four corners of the world to be immersed in the wealth and excellence of French gastronomic culture. In addition, the satisfaction of seeing so many ambassadors of our way of living and savoir-faire trained at HEG.